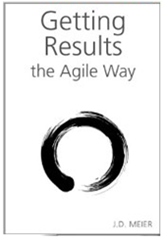 You can get started with Agile Results instantly, right here, right now. By figuring out the three results you want to achieve today, you set the stage for the day. Apply the Rule of 3 to life. Rather than get overwhelmed by your tasks, bite off three things you can accomplish. This puts you in control. If nothing else, it gives you a very simple frame for the day. This will help you get on track and practice the art of ruthless prioritization. An outcome is simply a result that you want to accomplish. Simply identify 3 outcomes. The outcomes at each level support each other and help guide your results. To give your outcomes life, turn them into simple stories. For example, turn “call customer” into “win a raving fan.” Think in terms of 3 stories each day, each week, each month, each year. On Mondays, identify 3 outcomes you want for the week. Scan your calendar for any key events for the week. Scan my inbox for new information and action items. 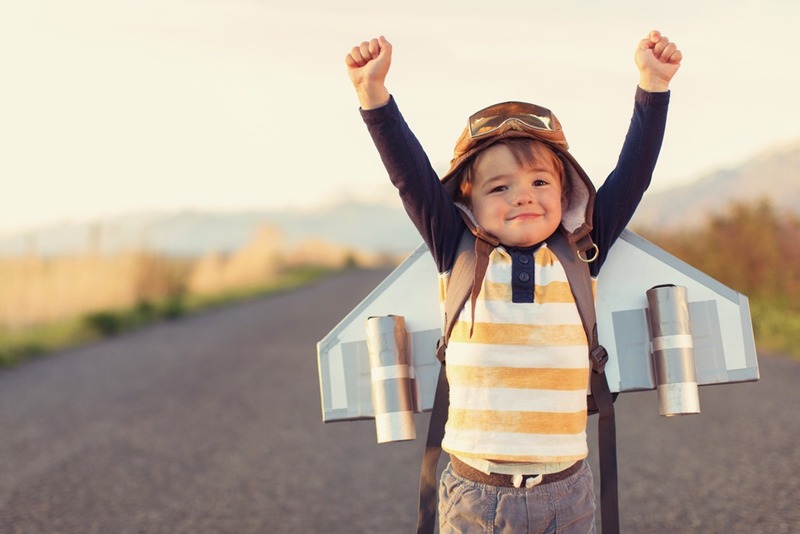 When you’re done, you’ll have a good mental picture of the week’s 3 most important outcomes (notice outcomes vs. activity), you know your big risks for the week, and you know my MUSTs vs. SHOULDs vs. COULDs. As input to this exercise, first scan your Daily Outcomes for the past week. (This is fast if you keep a simple tickler list for each day.) Also, do a quick mental scan of your key accomplishments. Where do you need to spend your time? What do you need to focus on? Hot Spots are a simple metaphor for thinking about what’s important. It’s where the action is or should be. More importantly, it’s where your attention, energy, and focus should be. By thinking in terms of Hot Spots, you can imagine a “heat map.” A heat map is simply a bird’s-eye view of what’s important. Mind includes investing time to learn thinking techniques and keeping your mind sharp. Body includes investing time in keeping your body in shape. It includes learning patterns and practices for health. The most important basics are eating, sleeping, and working out. Emotions includes investing time to keep your emotions healthy. It includes learning emotional intelligence and keeping your emotions in check. It’s about learning skills for feeling good. Career includes activities and projects for your job and your professional services. Financial includes investing time to learn patterns and practices for building and sustaining wealth. Relationships includes your relationships at home, work, and life. Fun includes investing time to for play and doing whatever you enjoy. By having a set of Hot Spots identified, you can be more deliberate about how you spend your time and energy, as well as the trade-offs you make. You can also focus on finding key patterns and practices that help you improve in these areas. You should set minimums and maximums for your Hot Spots in terms of time and energy. This keeps you from getting over-invested. Use your Hot Spots to set boundaries. For example, you might set a max on career and a min on relationships, body, and fun. In this case, step one is deciding to spend no more than 50 hours each week on your career hot spot. Now it forces you to bite off only what you can chew. This is how you start improving plate management and pushing back effectively. You can only spread your life force over so much. The categories help support each other. They can also work against each other. Note that you might need to set the opposite limits. Set your limits and test results. The key is to use boundaries and limits to keep yourself balanced and improve your results.